I love BitCoin because it has people thinking there just might be a better way to run civilization. With its initial limelight somewhat behind us, it’s interesting to look at aspects of BitCoin which make is way too similar to currencies of the day and why I think that is a problem. I love the idea of a currency that is not controlled by a centralized authority. It’s awesome to see The People creating something they can use to transactionally reward each other. BitCoin is still an amoral currency, though, and all amoral currencies are a huge problem. You cannot control how BitCoins will be used and what behavior BitCoins will inspire. We’ve already seen how BitCoins have been used to reward activities I think the majority of people would consider immoral. There may even be activities we don’t know about being financed through BitCoins that are highly immoral. We already know this is the case with other forms of physical money. 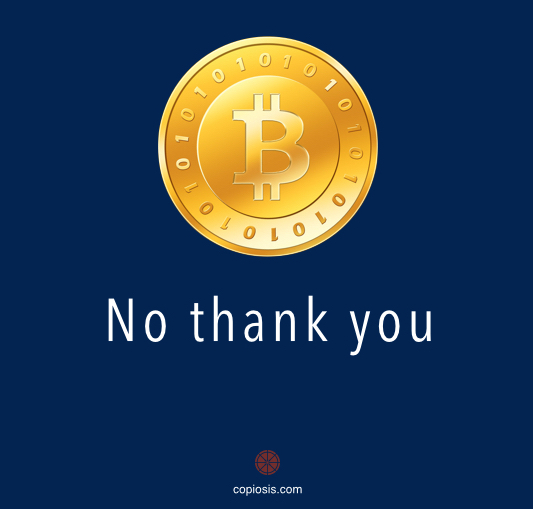 Why would BitCoin be an exception? As a physical money, BitCoin has proven the fact that all physical money can’t be controlled. It, like any other currency, has been taken from its owners through theft, or lost by the owners through negligence. It creates a HUGE zero-sum game simulation that in turn creates perceived winners and perceived losers. But mostly, BitCoin perpetuates the two-way transaction where nearly always there is an inequality of knowledge between two people wanting to trade, leading to an inequality in power expressed as knowledge and information. This inequality nearly always leads to one person feeling they got screwed. Two-way transactions are an archaic way of conducting trade. And we can do so much better. BitCoin is an interesting experiment. I don’t want it to be anything more than that.